Mix all ingredients in 3- or 4-quart saucepan. Heat to boiling over medium heat. Cook 15 to 20 minutes, stirring occasionally, until onion is tender and soup is slightly thickened. 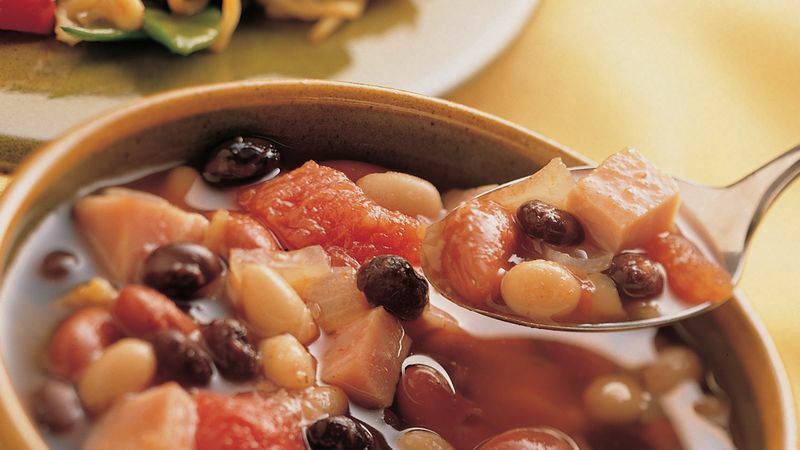 Draining and rinsing the beans eliminates some of the sodium from this robust main dish soup. It's even tastier if you can make it ahead, refrigerate it for a day or two and reheat it before serving.